Darby McBride faces 14 months in jail and three years of probation following the December 2017 crash. Darby Andrew McBride was sentenced Friday, Jan. 4, to jail time and probation for his role in a 2017 crash that caused life-threatening injuries to off-duty Tigard Police Officer Matthew Barbee. The crash occurred in December 2017, when McBride's SUV slammed into Barbee's vehicle, which had pulled to the side of the road off Highway 26. Barbee had been on his way home to Mist when the crash occurred, and he was not on duty. The crash caused life-threatening injuries to Barbee, who has not returned to work since. McBride was found guilty on Dec. 13. 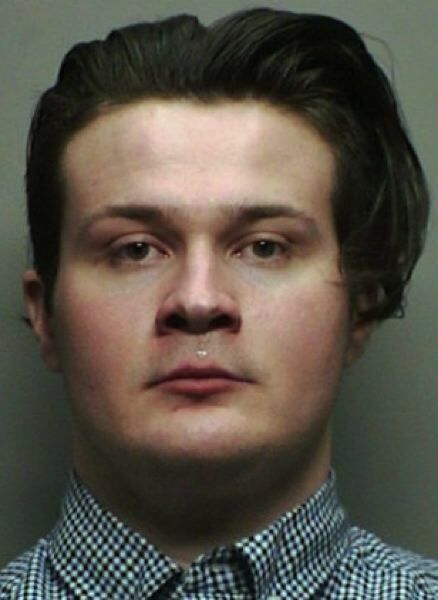 On Friday, he was sentenced by Judge Andrew R. Erwin to 14 months in jail and three years of probation for his convictions of third-degree assault, reckless driving and second-degree criminal mischief. He also was ordered to complete 250 hours of community service and will have his license suspended for five years. He will be required to undergo an alcohol and substance abuse evaluation and comply with all medical advice regarding his narcolepsy. Barbee's wife, Sherrie Utley, gave a victim impact statement imploring the judge to hand down the maximum possible sentence in the case. Her full statement is reproduced below. Senior Deputy District Attorney Jeff MacLean prosecuted the case. "Safety concerns on our roadways don't just involve alcohol or controlled substances," MacLean said. "Drivers must take steps to ensure they are operating their vehicles in a safe manner — and that includes taking into account any medical conditions which may put themselves or others at risk. We hope this sends a clear message to the residents of Washington County that we will take all steps necessary to protect our citizens and hold those who put everyone at risk responsible." McBride was taken into custody after he was convicted by the jury and will serve the rest of his time at the Washington County Jail. 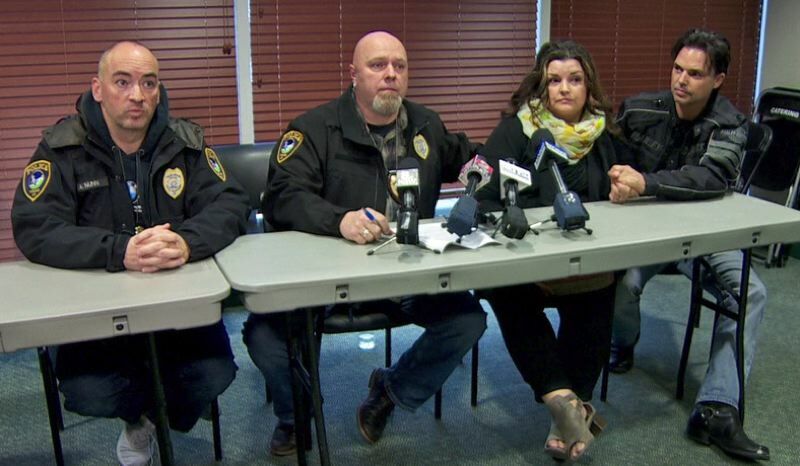 The Tigard Police Officers Association established a fund to help Matt Barbee and his family. I am the wife of Matthew Barbee. We met 19 years ago in Sandy, Utah, where we both grew up. We made Oregon our home in 2001 and have three kids. Our son Jaiden is 17, daughter Madeleine is 13, and Ashlin our youngest daughter is 11. We bought our dream farmhouse two years ago just outside of Vernonia after years of hard work. Before the accident, we had a small farm and were in the process of remodeling. Matt became a police officer 12 years ago and was working for Tigard PD. Before that, and since the age of 15, he worked in grocery. Being a police officer was his life. He got into the career to help people and his job was to respond to 911 calls. He had a talent for talking people down and resolving issues. He worked long hours and any overtime he could to support our family. He was the main financial provider. He was known in the department as being a goofball. He was not your typical police officer. He always looked for the good in people and approached each situation with a positive attitude and willingness to better the lives of all he met. After the accident, everyone that came up to the hospital had a "Matt Story." He will never realize how much impact he had on all those that came across him or how much he is loved. On the night of December 14th, our world came crashing down. I cannot even begin to describe the trauma my family went through. We were told that Matt would not live past 48 hours initially due to the extent of his injuries. If he did live, he would likely remain in a vegetative state and be paralyzed. The trauma/impact was instant. My son had to be checked into a facility in Tigard the next day due to depression and I could barely function due to shock. You have already heard of the extent of his injuries, but what you don't see is the chronic pain Matt is in daily, the inability to ever move his head in any direction for the rest of his life, nerve damage to his shoulder and right arm, loss of strength, the loss of self, his erratic and dangerous behavior due to the brain injury, and the inability to live at home currently. Due to his traumatic brain injury, he has essentially lost himself. In the brain injury community, this is referred to as a "loss of self." He wants so badly to step back into his old life but cannot. Occasionally I will see glimpses of the man I have known for 19 years, but there are pieces missing and it is heartbreaking. The kids have had a hard time adjusting to his new personality as have I. We are grateful every single day that he survived, but there is not a day or moment that goes by that I am not reminded of how much we have lost. The grieving is never-ending. My heart often goes searching for the Matt I knew … my best friend, the only person that made me laugh on a daily basis and the love of my life. We have had two incidents over the last few months due to his brain injury that have caused further trauma to the whole family. My youngest has PTSD, wouldn't let anyone touch her until a week ago and has been grieving through art — all of her pictures and stories in school and home are about death. She can't wrap her mind around the fact that her dad is here, but looks, sounds and acts different. My oldest daughter takes her anger and grief out on me and often retreats to her room. My son moved out after one incident that we had because he couldn't handle how things had changed at home. I went from a family of five to a family of three in less than a year. Traumatic brain injuries affect who a person once was and how a family once were. Relationships, family roles and responsibilities change. Interpersonal communication is a serious challenge as well as the whole family dealing with their own myriad of intense feelings of shock, anger, denial and depression. When it comes to a brain injury, we have a living reminder of the loss each day. Living with someone we no longer think we know brings a new world of challenges and trying to keep us all above water is exhausting. Matt struggles to do everyday things. Since he cannot turn his head, it is likely he will never drive again. It is questionable if he will ever work at any capacity and requires 24/7 care which is currently located out of state. He needs to go to the Brain Injury Recovery Center (BIRC) for months in order to obtain more intense therapy. There is a lot of pressure on me financially to maintain his level of care. Matt continues outpatient rehab and is working hard to improve cognitively — but we have seen little improvement the last six months. He has short-term memory issues, no fear response, and cognitively has a long way to go. After the accident, I had to get rid of all of our farm animals and his dream truck to cut financial burdens. He no longer has his farm, his truck, his mobility, his sense of self or the ability to do the things he loves. Gone are the days of remodeling and police work. He currently spends his days at doctor appointments, lying in bed due to pain or trying to stay on task. When he does do something, he is reminded of how much he has lost as the disability of his neck and head injury are debilitating. He is not even able to live at home because it is a safety risk for the kids at this time. Given that Matt was the main financial provider, the financial harm this accident has had and will continue to have on my family is detrimental. The lifetime costs for one person to survive a severe traumatic brain injury can reach $4 million. The costs associated with the injury have caused immediate difficulties as we struggle to pay medical bills, a loss of Matt's income impairs the ability to service debt and in the long term, cognitive problems impact job and wage opportunities dramatically. This is a constant concern of mine daily as I struggle to support my family. After the accident, I put little thought into Darby McBride. I was too focused on willing Matt to live and holding my family together. I actually had compassion for him at the start. He is only five years older than my son. After hearing that he went to work the next day and had a "I do not care attitude," reading the police report that clearly demonstrated his lack of remorse, and learning he had may opportunities to change the course of events that night, I now feel different. Especially after seeing his behavior during the trial which was nothing short of disgusting. Darby knew he had narcolepsy. He was advised by his doctor not to drive unless he was treating his illness, he was advised not to drink, he knew he needed adequate sleep and even stated he often went straight home after work to go to bed, he admitted the last three months his illness got worse, he admitted to smoking marijuana, he declined a ride home from a co-worker, and he chose to drink alcohol. This was not the first accident he has been in. In fact, he had crashed his car prior. My husband took every safety measure possible to ensure he was safe while waiting for a tow truck. Darby displayed reckless behavior and blamed everyone and everything for what happened that night. He still has not taken any responsibility or showed remorse. It was just a matter of time before he killed or seriously injured someone. Darby stated that he wanted a better quality of life and that it was hard to be him. I have an autoimmune disease and know my limits. I take responsible actions as any adult should and every day is a choice. It is a choice. Because of Darby's choices that night, Matt will now suffer the rest of his life. He has lost his career, his mobility, his sense of self, the option to live pain free, in debt, and without his family. What quality of life is this? Judge, I implore you to please sentence Darby to the maximum you can in accordance to the law as well as suspend his driver's license for the maximum as well. I do not think he is remorseful and will be back on the roads acting recklessly again. We have lost so much due to his behavior and choices and I cannot bear the thought of another family going through what we have and will continue to have for the rest of our lives. Thank you for taking the time to hear this.